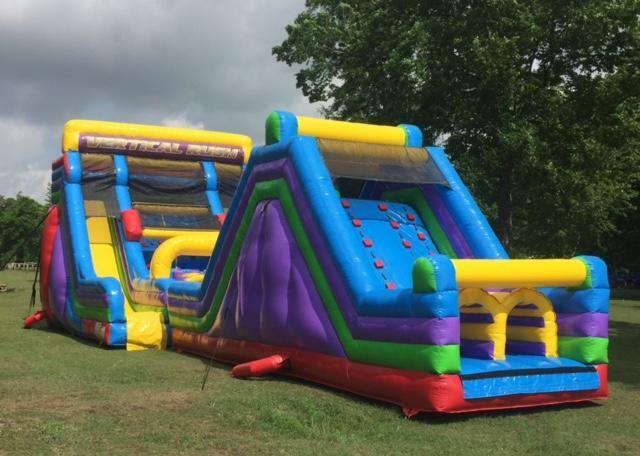 About to bouce inflatables is proud to offer this 20ft. vertical rush 2 lane slide with it's 17ft. 2 lane rock climb slide. This obstacle course is the biggest in New Orleans. It is about 60 feet long.